These advanced capabilities make the software ideal for complex industries like energy, financial, and not for profit. Now, users can easily track and account for joint venture agreements, allocate costs for joint billing, maintain multiple reporting structures, simultaneously report in multiple currencies, and more. Given the areas of information unified in today’s financial and accounting software, companies are also relying on it to forecast potential scenarios and predict and manage business growth. 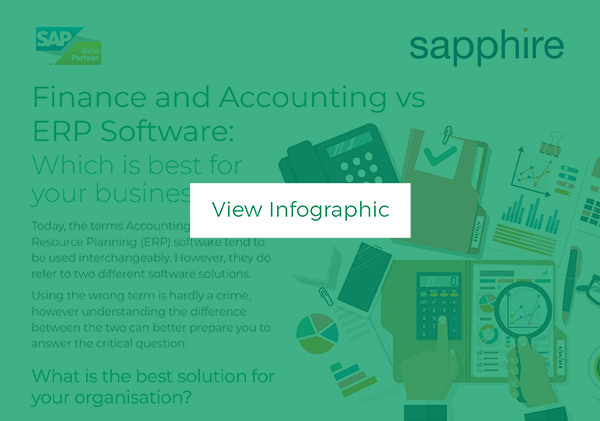 The progress made in both financial and accounting software and ERP software has been impressive in the last decade – so much so that the cost of doing business without one of them can be extreme. The fact is, virtually all leading companies in every industry rely on modern accounting software and/or modern ERP software to gauge, report on, and improve business operations. To discover which type of software modernization can propel your business forward, contact Sapphire.